There is no place like summer on Cape Cod; swimming, relaxing in the sun, boating, fishing, golf, steamed lobsters, cookouts with family and friends, concerts, art galleries, there is something for everyone. Combine old New England charm with its natural beauty and Cape Cod has become a premier destination. Whether it’s buying Cape Cod Real Estate or securing Cape Cod Vacation Rentals, you will find Cape Cod Oceanview Realty’s expertise invaluable. Come enjoy the warm waters of Nantucket Sound, the surf at the National Seashore, the tidal flats of Cape Cod Bay, the many ponds, streams and inlets – if you love the water, Cape Cod is the place! Whether buying or selling Cape Cod Real Estate, Cape Cod Oceanview Realty is committed to providing the very best real estate services. 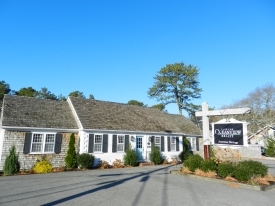 We specialize in waterfront, waterview, and walk-to-water properties all across Cape Cod. We help homeowners to make informed decisions on the staging, marketing, and selling of your home. We help buyers to find the home of your dreams. With everyone, we provide service with honesty and integrity. Cape Cod Oceanview Realty is the leading Cape Cod Vacation Rentals specialist. Our services include the finest selection of Cape Cod waterfront rentals vacation properties.